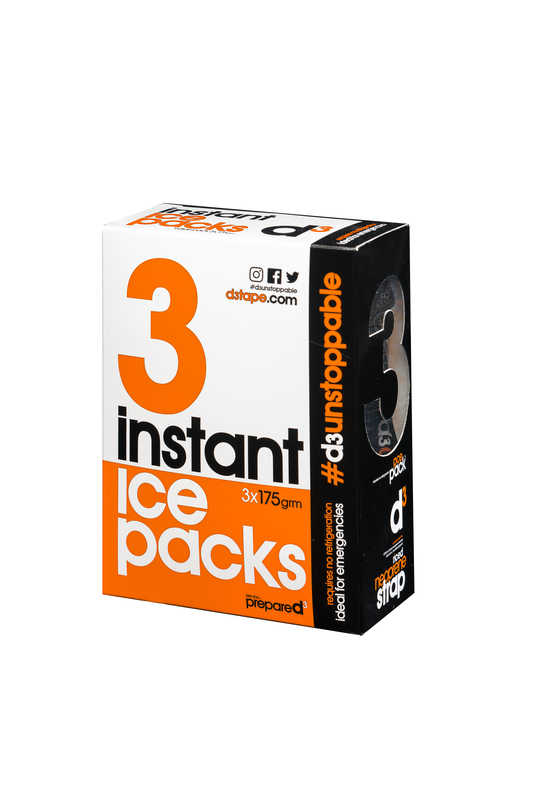 D3 instant ice packs are an incredibly convenient and valuable low-cost item. Easily fits in the kit bag, purse, glove-box or other convenient place and is immediately available when needed. Simply initiate the ice pack by hitting or firmly squeezing the bag and then apply directly on to the injury, or in the d3 RICED neoprene strap (sold separately) holding firmly to provide swell-reducing compression.